Please contact me for setup assistance. Welcome to http://letspk.org/. 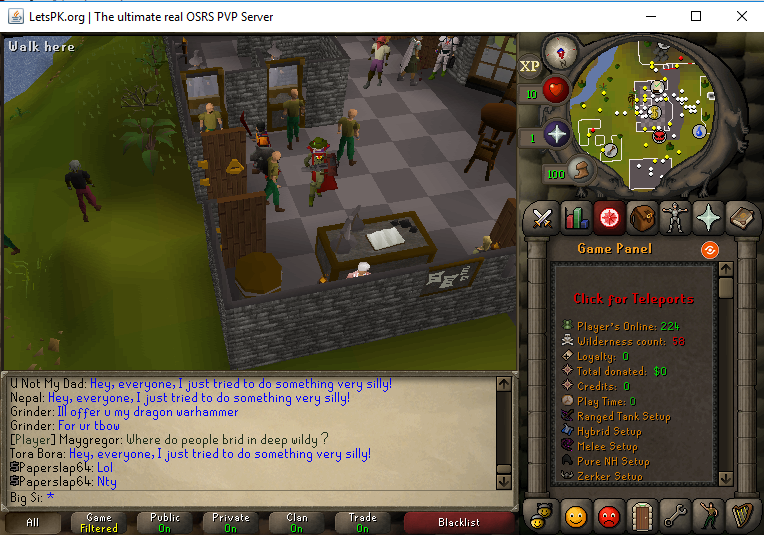 We are a real oldschool RuneScape private server utilising the latest OSRS client with our own developed private server to bring you the ultimate OSRS Experience. We have emulated all worth-while aspects of Oldschool RuneScape to date- a standard we will always continue to maintain. We are primarily focused on refining the intricate logistics of the RuneScape combat system to perfect emulation; over 100 hours have been devoted by our development team to combat alone. The primary currency for the majority of our players is Blood Money- this can be earned through PvP and through Krystilia’s wilderness slayer assignments. 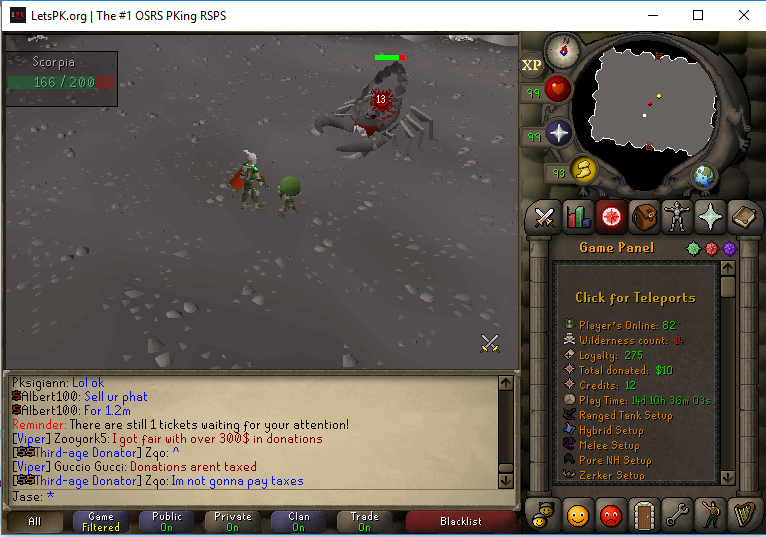 We also offer a host of PVM and Skilling services- for instance all of our skills are emulated exactly like OSRS (except less grind and much faster experience rates of course). 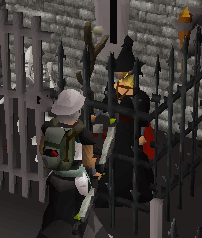 Your combat stats can be adjusted but all non-combat stats must be trained as on OSRS. There is a reward for every 30 minutes spent skilling amongst several other mechanical improvements to the skilling system. We also have full Player Owned houses so you can make your own house and customise it at your expense. For PVM we offer a host of different bosses from Zulrah to the Great Olm from the Chambers of Xeric! 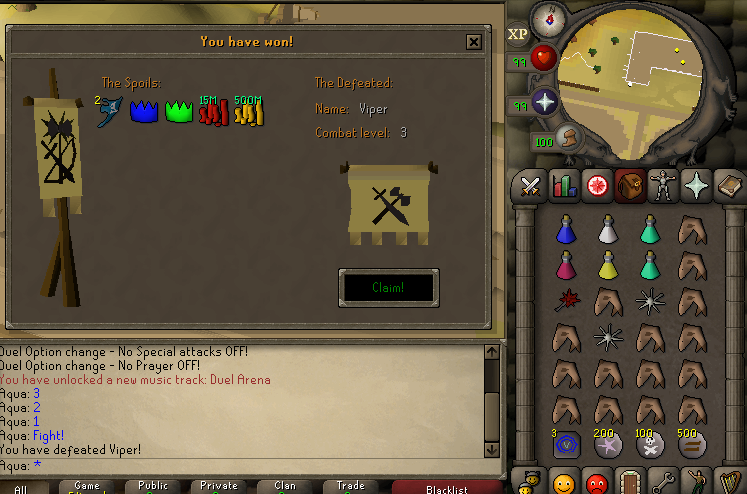 A lot of items can be obtained through PVM. For those with a passion for Player-vs-Player Combat we have great news! We have so much to offer; from one-click pre-made loadouts to the ability to customise your own presets. You will be able to set your levels up and start fighting immediately. 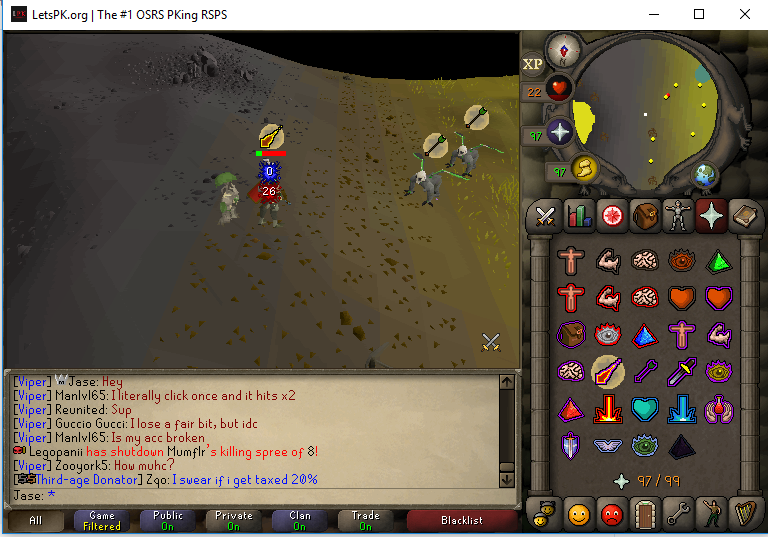 All combat mechanics are emulated from Oldschool RuneScape- from item consumption delays and ordering to object-to-point projectile accuracy- LetsPK.org has it all! 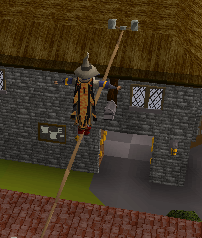 We have customised the Edgeville landscape to cater to your needs, we have replaced the weird coffin room south of the bank with Resource Area from the wilderness to create a skilling area, every skill can be trained from the home area, we have added a custom rooftop agility course which runs through the different buildings in Edgeville. We also have our own custom PVP Room which has all the blood money shops. Upon login you will be thrown into a quick 30 second (if that) tutorial which covers most of the important stuff you'll need to know. i would like to buy this source can i give me download links? The link on top has it for sale for $75. How can I play can register on website of login on the client.